Has anyone encountered and succussfully dealt with this error when buying at store? 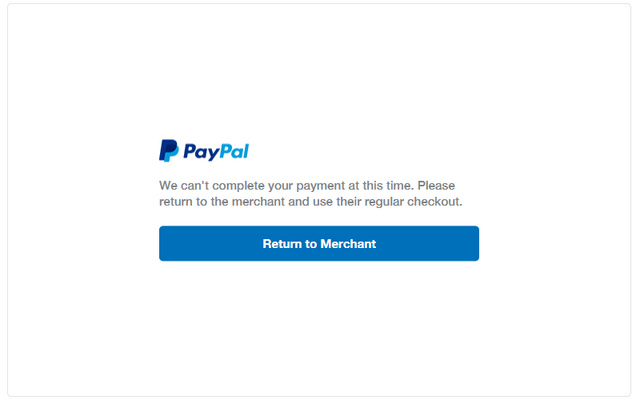 maybe you are from a country that blocks paypal or paypal is blocked for US purchased, had any problems before? Paypal thinks you are trying to launder money to Trump.